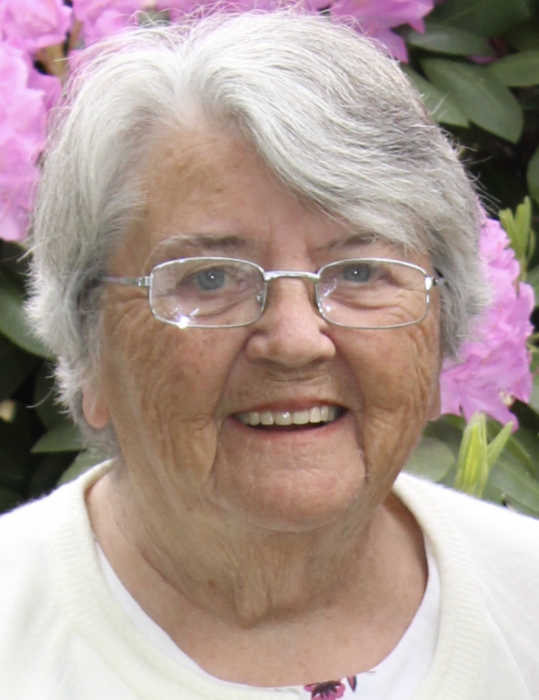 DEVER, Janet M. (Manning) of Milton, passed away peacefully at home, April 2, 2019. She was the beloved wife of the late Robert C. Dever, who died in 1993. Born in Norwood, MA on the 3rd of July 1936, she was the middle child of the late William P. Manning, (Dep. Chief, M.F.D.) and Margaret L. (Corcoran) Manning. She grew up in Milton and graduated from Cardinal Cushing High School. She was an avid Boston Celtics and Red Sox fan, a genealogist and loved to spend time with her grandchildren and extended family. She is survived by her two grateful sons, Robert and his wife, Kimberly (O’Neill) Dever, M.D. of Canton and William P. and his wife Theresa (Meder) Dever of Hanson. Loving grandmother (Ma) of Jennifer, Kelly, Robert and Katherine Dever of Canton and Abigail, Patrick and Aidan Dever of Hanson. Sister of the late Joan E. Cahill and William J. Manning. Also survived by her sister in law, Judith A. Manning and truly beloved nieces, nephews, great nieces, great nephews and cousins. Longtime employee of both the Carney and Milton Hospitals. Late Eucharistic minister at St. Mary of the Hills Church. Relatives and friends are respectfully invited to attend the visiting hours from the Alfred D. Thomas Funeral Home, 326 Granite Ave., Milton on Thursday from 4 to 8 p.m. Funeral Mass at St. Mary of the Hills Church, Milton, Friday morning at 10 a.m. Burial in Milton Cemetery.